The use of artificial intelligence and machine learning in the food tech sector is not new. We have in the past covered several such organisations — like startups using AI to suggest recipes based on available ingredients, or robots cooking from scratch. Spoonshot (earlier called Dishq) is another unconventional startup in the list that is using machine learning to understand and predict people’s taste. It is also helping the food and beverages industry with challenges such as recommendation, personalisation, menu & product development, among others. To get an exclusive sneak peek into the recent developments at the company, the reason for rebranding, their future plans and more, Analytics India Magazine got in touch with Kishan Vasani, one of the founding members of the Bengaluru-based startup which was started in 2015. Currently 20-people strong and adding more into the team, Vasani shared some interesting insights about the startup and their journey. Spoonshot is nothing but an AI-powered food brain that predicts human taste and trends for consumers to be able to better consume food. Some of the core technology that they have built is around offering personalised food which helps the recipe sites, catering services and restaurant chains who have a digital platform to come up with better offerings. While many restaurants abroad have their own apps and websites to bring personalised experiences, India hasn’t seen something so unique. More recently they have also developed a taste intelligence platform initially for CPG companies to get forward-looking insights and help innovation and marketing teams with increasing product penetration and improve the efficiency of the product development process. This is when they decided to launch it in a completely different identity. “We introduced this completely new taste intelligence platform, and so we rebranded as Spoonshot (which comes from moonshot), he said. Explaining the idea behind the newly-christened name, Vasani shared that back in the 1970s, when the US wanted to put a man on the moon and they didn’t know how. We thought that it was a great metaphor as we had lots of lofty, ambitious and innovative ideas and we don’t always claim to know how we are going to do it,” he added. 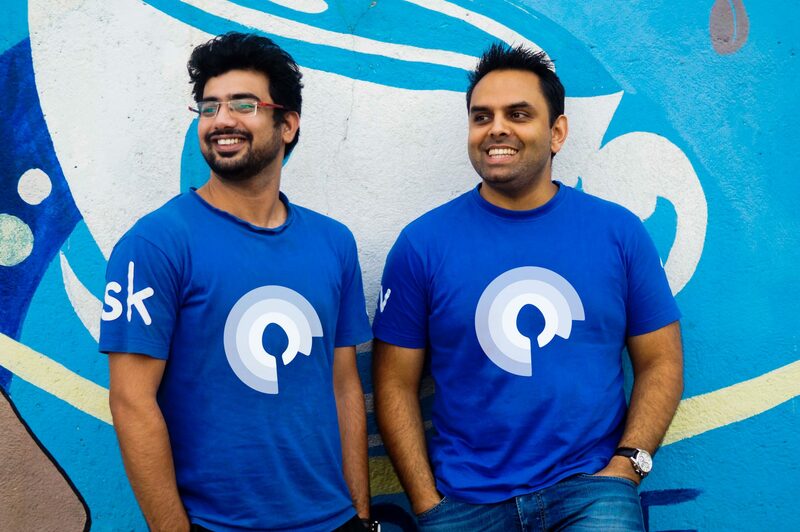 “As a young startup, we wanted to take up one thing at a time and we started with personalisation,” shares Vasani. As they dived deeper into the space to understand the market, they realised that to deliver personalisation, they needed to understand the taste preference and therefore be able to predict them. “The timing was perfect in terms of prevalence of machine learning and AI tools, and that proved to be a valid approach for us,” he shared. Talking about the competition, Vasani shares that from a core technology perspective and in terms of taste prediction, they do not have direct competitors. “But if you start looking at it from product perspective and personalisation engines, there are a couple of them around the globe. One such name is HALLA, which started earlier this year. If you look from taste intelligence perspective, there are a couple of companies doing similar things with a different approach. Vasani opines that the models are not as important as the datasets that play a significant role. “We make a lot of efforts in our company to differentiate datasets regarding various aspects. One is the chemical and biological aspects of food, where we create ontologies. We have this recipe database and custom datasets that are built in-house. From there we use machine learning and AI in our products to solve various problems at hand such as flavour, extracting meaning out of food and others,” he explained. Next is to monitor the food trends in the market and derive causality relations between various pieces of data. “The dataset that we have built answers a lot of these questions,” he added. Having said that they are at an early stage and there are a lot of interesting problems that remain unsolved. Tools: Vasani shares that most of them are standard ones. Most of them are standard ones. For hosting, computation and storage purposes, they use AWS which has got a lot of readymade solutions. For all their data science efforts, they use libraries such as TensorFlow, Keras, PyTorch, web frameworks such as Django Flask, computational frameworks such as Spark, and others. “All our systems are built on Python,” he shared. Their customers are usually some form of digital food company such as cloud kitchens or food aggregators which depend on personalisation. For instance, HungerBox is one client which is digitising the food courts at tech park. Vasani explains that everyday employees order through their platform, so there is a high repeat rate from a large number of users. “Our personalisation helps users to go through the order quickly by cutting out steps in the conversion funnel because we understand what people want,” he said. He further shares that on the taste intelligence side, they are working with a couple of very large food businesses in the US. “The cases we are helping them on is in identifying new ingredient combinations for some of their core products which are worth tens of millions of dollars. They are looking for ways to innovate and be agile,” he shared. With their solutions, they are enabling companies to test more ingredient combinations than the traditional methods would normally do. They are enabling these companies to have new levels of confidence around product launches, which hadn’t been possible before. “Usually 50 percent of new products fail due to lack of understanding and lack of testing that. So, we are helping them both ways and there will be interesting case studies to talk about early in 2019,” he said. The startup which was founded back in July had raised $400,000 then. Now, they have big plans in terms of hiring and product innovation ahead of it. They are looking forward to finishing case studies with the companies and improving technology. “We are finishing off case studies and building taste intelligence platforms in the first quarter. Later in 2019, we will also build the food service use case whether it is McDonald’s or restaurant chains or catering food service companies. We would essentially help them understand trends and innovate on their menus,” he said. “We have a company in our business that has a very good understanding of what kind of experiences people are having in restaurants which is really important to our taste intelligence platform to help improve insights. So, there are benefits to both entities to leverage each other’s data,” he said. “Specifically talking about the Indian market, hiring is probably the number one pain point for startups in India,” he shares. “In particular, technical hiring is extremely difficult, and we have tried every approach. When everybody today wants to be a data scientist or claims to be a data scientist, validating it is really important,” he added. While they have built a rigorous framework to find great people, it still remains a challenge. “There is a huge opportunity in India for those in the recruitment field to really solve this problem and help this ecosystem with better recruitment and better training of candidates,” he said on a concluding note.